The National Interest recently profiled the latest firearm which is pushing the limits in terms of size and technology — except this isn't a "big gun" — but quite the opposite. 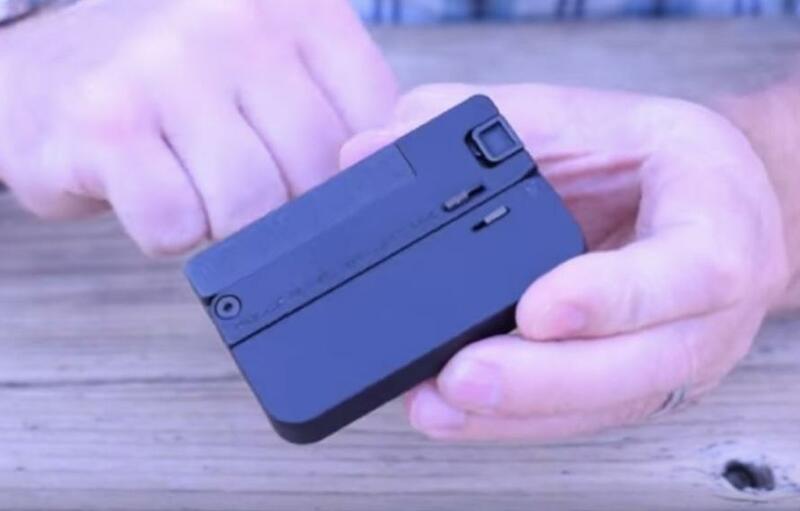 A North Carolina company has produced and is currently selling a single-shot "credit card gun" which fits into a wallet, and which can be neatly tucked away in a person's back pocket. A military analyst writing for The National Interest describes the gun, called the "LifeCard," as "a single-shot, single-action .22 designed to resemble an innocuous credit card." 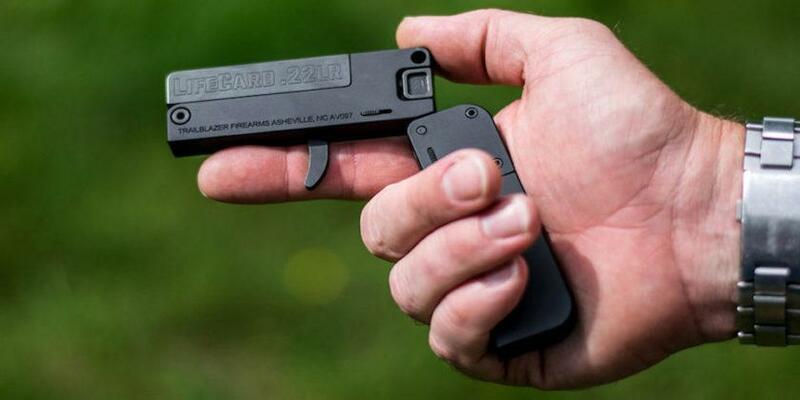 The credit-card sized pistol was "fashioned from lightweight anodized aluminum with a steel trigger and tilt-up barrel" which enables "the 7 oz. 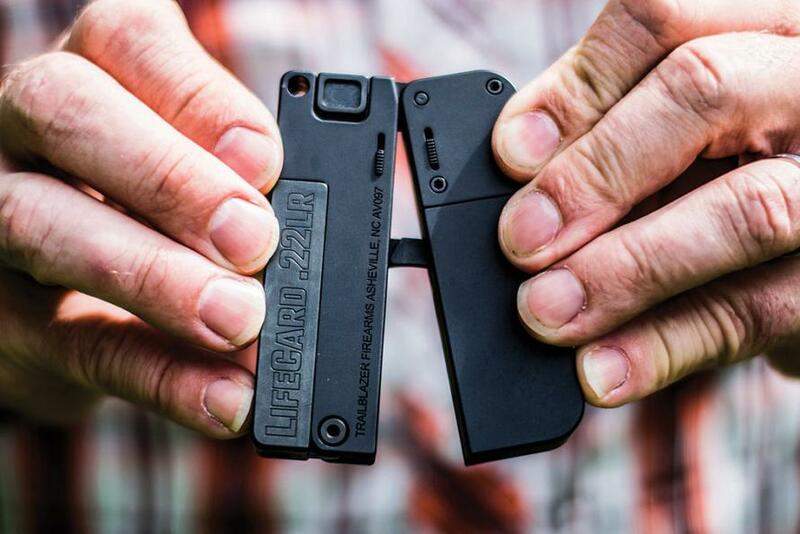 pistol folds up into a 3.375 inch by 2.215 inch card that, despite its half-inch thickness, can fit with relative ease inside your back pocket or average wallet." It was developed by a North Carolina-based company Trailblazer Firearm, and has enough ammo storage for four rounds. The company has billed it as a weapon of "last resort" in dangerous, unexpected situations, but it's also sure to draw controversy given the extreme ease of concealment and potential for passing through security screenings, similar to the controversy evoked by 3-D printed guns. It's already angering some pundits and journalists on social media after an Israeli arms company recently took note of it. According to the National Interest the gun has been deemed in compliance with the American National Firearms Act given that it's incapable of firing when folded. Below is a short video produced by the manufacturer showing just how quickly the "LifeCard" can be deployed. It definitely appears something straight out of James Bond's collection.